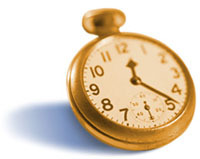 McKerlie Accounting Services can give you the time. Running your own business doesn't always allow you the time you need. Even with the best planning it can sometimes feel like a forty hour day. Using your time in the most effective way can be the biggest challenge facing the small business owner when your trying to be the salesman, production manager and administrator all at once. Where do you need to be spending your time? Can you afford to hire a full-time person to handle some of these tasks? MAS can provide you with qualified personnel dedicated to meeting your needs. Our experienced staff can perform administrative tasks quickly and more effectively at a very reasonable cost. Leave the administration and government compliance issues to us. We will provide you with current financial information that is accurate and available to you for any decision that needs to be made. Using our services will give you the time to focus on the things you are good at, the things that will make the business grow. And isn't that why you went into business in the first place? Our goal is to give your business the best support and the best chance for success.